* Foolproof trap lets you know when mouse is caught! Tomcat Spin Trap mouse trap is user-friendly – features indicators to let you know trap is set and when mouse is caught. Fully enclosed capture area kills mouse and helps keep you from being exposed. Simply toss when done. 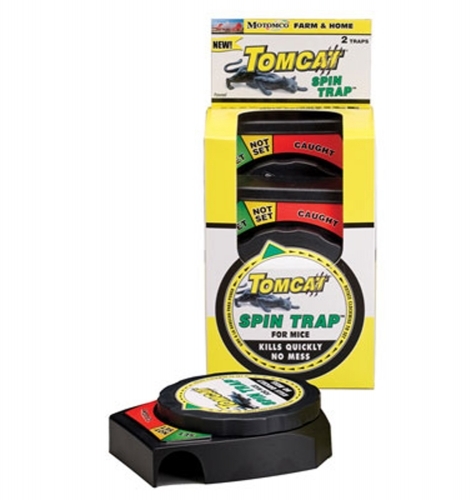 Integrated bait cup improves trap effectiveness while covered portico encourages rodent entry. Can be placed against walls or in corners. Made in the USA.